Glarminyranked ReadingGlassesEtc as #1 in 2016 for Best Selection of Blue Blockers and Blue Block Product Information. See the review! "Steve offers wonderful service and quality, along with very reasonable prices. I have been dealing with him for several years and he always exceeds expectations. I started out by ordering one pair of inexpensive folding readers. Many pairs and years later, I continued to be impressed. I probably should have toned this review down, as it may appear I am Steve's long lost unemployed cousin, looking for a marketing job. If you discount this review as not authentic, it is your loss!" - Bob A. "For those of you who know how bad the readers are you get at the pharmacy and big box stores, you simply have to try glasses from this company. Yup, they'll cost you a bit more, but the clarity and lack of distortion of the lenses is simply outstanding and heads and tails above anything you'll get in a store. I always get the mojo blue block ar and use them primarily for computer work. Great glasses and the company provides great service." Alan B. "Mojo BluBlock AR - This coating really does a fabulous job of anti-reflective, reduce glare, improves contrast. My last pair have this coating and still going strong - ie. seems durable. Scratch resistance and easy clean is also very evident. Not really sure if $25 is a fair price - however, when you add this coating to glasses costing $25 to $50 it has a huge impact on overall price and therefore a bit of a deterrent. That said - I can no longer abide glasses with out this coating - go with the mojo!" - Anon. "I just wanted to write and tell you how much I love my new reading glasses I ordered from you.I had lasik surgery on my right eye about 10 years for distance and I sleep in an ortho-K contact on my left eye to see close up daily. I can see perfectly far away and for reading...however, my challenge was looking at my computer screen 8 hours/day. That 2 foot range never comes in clearly and regular reading glasses with the same strength in each eye didn't work for me and was driving me nuts.When I read the instructions on your website on how to figure out the strength needed for computer it was like a lightbulb moment. So I ordered glasses with a different strength for each eye and got the blue block w/ tint. The tint and strength in each eye is perfect.It was so amazing I just had to thank you. I may have to order some more and I will definitely be telling all my friends.Thanks so much!" - Delann S.
"The most recent pair I got from you guys I added the Mojo Blue Blocker AR coating - what a difference - having had cataract surgery with multifocal lenses I can read fine and see distance. But when I work on my large computer screen at home it's about 2.5 - 3 feet away which is my dead spot. The first pair (once I got the power straight) caused some fatigue and strain, but when I got the last pair with the coating, wow! I can sit all day in front of the screen without any problems. Great glasses. Thanks!!" -Alan B. "Dear Steve, I was so pleasantly surprised that you returned my phone message so promptly on Saturday and accommodated the change in my order. The glasses just arrived and I am so pleased! Thank you for the excellent service. Since I had PRK, I’ve been frustrated with ‘ordinary’ reading glasses from the drugstore since my eyes now need different powers for reading (which is almost invariably the case for Lasik/PRK patients) and computer work has becoming challenging. There were very few online offerings for dual power glasses, and your website was by far the clearest, user-friendliest and most informative of the few out there. Your selection also was superior in terms of price range and variety. I will definitely be ordering again in the future – I find it useful to have several pairs of reading glasses around the house. These two I ordered are my first ‘test’ pairs. Thankfully you have affordable options. I will also definitely tell everyone I know who may need reading glasses about your website, and in fact I made a note to myself to tell my eye doctor when I go for my 3 month post-op appointment in September (I’ll bring your letter so I can leave something with your brand/web address). I’m sure his patients will be happy to have an easy, affordable source for dual-power reading and computer glasses (rather than spending hundreds of dollars to have a custom prescription filled at an eyeglass store). I know I was very happy to find you! "Much higher quality than drug store glasses at a fair price. Great selection. Super fast shipping. They actually listed a phone number that I didn't have to press one for English! I did not get trapped in a robo call! I left a message and Steve called me back and I actually spoke to a very helpful HUMAN BEING !!!!! Steve knew his business and advised me well. "I am a pharmacy readers person who used to buy Scojo glasses before their quality got bad. These glasses are amazing. I purchased the Amber lenses in 2.0. The quality is superb and they save my eyes when I'm on my iPad at night or on the computer during the day. The case has a bright orange cover, so it's easy to find and it's a hard case. 100% quality across the board: case, frames, lenses. Best thing about my purchase though? The lovely note about the company that accompanied the glasses. Steve and Rhonda, you are an amazing couple and you sell really good quality glasses. All the VERY best to you both! You definitely have a new customer and devotee!" - Antonia G.
"I have purchased 6 pairs of readers from Steve and Rhonda over the past few months. Why so many? First of all, they have a great variety of styles and tints, and I like to have different looks with different outfits and on different occasions. Secondly, these glasses are so well made. Thirdly, the customer service is outstanding! Can't say enough about how well they take care of every question. The glasses always ship and arrive faster than expected. Fourthly, they come with a high quality case and cleaning supplies. Fifthly, the response to emails has been INCREDIBLE! I've received replies from Steve usually minutes after I sent them, even on a Sunday and fairly late in the evening. THAT's what I call OUTSTANDING service!!! I'm so happy I found these guys. They're the only company I've found that offers exactly what I was looking for, i.e. lighter tinting than sunglasses. In addition, I was very surprised to find that they come in so many colors and depths. The icing on the cake is that they give you the ability to have different levels of correction in each of the two lenses. I found your website from a Google search for computer reading glasses. I placed the small order because your prices seemed high; relative to other online retailer sites. Once the order arrived, I clearly understood why the price delta. This is a professional (if that is the correct word) pair of reading glasses. They are sturdy and will likely last a very long time. I’m accustomed to ordering 2-3 pairs of the flimsy glasses at a little over one-half your listed price. Those other reading glasses do not hold up well; often damaged while in a shirt pocket. When I do the math, one pair of your ultra-high-quality glasses are a much better value. I believe that the (unexpected) hard case that came with the reading glasses costs more than the reading glasses found on the end cap displays in the big box stores. That is extra protection when carrying the glasses in a computer bag, as I do one day per week. Again, more value to the customer. I have never (and I mean never) had a reading glasses order protected so well, packed so carefully, and sent in a sturdier box than you provided. I’ve received damaged orders inside padded envelopes. Returns are a time-consuming pain and not worth the time and expense. I simply wrote those orders off as lessons learned the hard (and expensive) way. Finally, the value-add of a Crystal Cleaner and lens cloth was unexpected. It costs more to include and ship these extras. But, these nice touch items don’t come from Amazon.com! This stuff shows that a small business with good people can compete. After this experience, why would I buy reading glasses from anyone else? I may not be the smartest consumer on the planet. But, I can figure that out with ease. The cliché “You get what you pay for.” certainly applies to Reading Glasses Etc.com! When looking at the total value of one order from you, I am already ahead of the game. I wish you all the best." 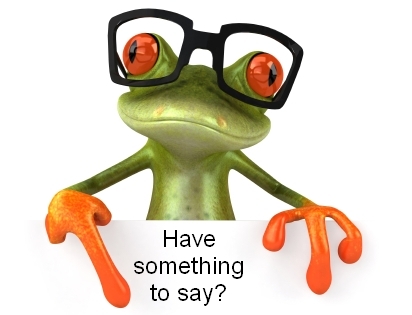 Thank you, - Ken W.
"I was very pleased with the eyeglasses I purchased. The color was stylish as was the design of the stems. I was also pleased to find the level of strength available on your website. Most websites do not offer a 4.00 at such an affordable cost.I really liked the personal level of communication,as I was informed every step of the way from date of order to receiving the glasses.I highly recommend this site to anyone seeking quality as I know I will go back when the need occurs." - Sylvia K.
"I just got my new reading glasses in the mail. I am very pleased with them so far. I struggled with cheap drug store readers for years and was never satisfied. I paid too much for optical quality glasses through an optometrist, and again, was not satisfied. The lenses kept popping out because the frames loosened up. Of course, the optometrist would fix them at no charge, but it was still an inconvenience. I don't think the lenses will pop out of these frames. I like the way they are made and they fit perfectly. As an added bonus, I can actually see to read now--no distortions. After I test them for a few more days, I will most likely be ordering more. I'm an old guy, and I have a lot of old friends, so I will be passing the word on to them. Thank you for supplying a great need in an efficient and economical way." - Dan C.
"This company is GREAT! I am a new customer, ordered two pairs. My prescription was unique, it was trial and error but Steve worked with me, was very patient and we got it right! Thanks Steve!" - Mary H.
"With eyes that require 2 different strengths of lenses in reading glasses the drug store readers weren't working for me. The self eye test on this site is easy to take and I had reliable results in determining the strength I need for each eye. The frames are sturdy and the price is very reasonable and the delivery is fast. I'm so pleased with my glasses that I have ordered a pair of computer glasses from them. "When my eye doctor found that I was having trouble reading up close he prescribed +.75 reading glasses. Telling me I would not find that magnification in a pharmacy. He was not wrong! I travel for business and checked out pharmacies from CA to NC." "I'm very happy I discovered this site...My new readers are beautiful! Free shipping was an unexpected bonus, and even with that, I expected my glasses to take at least a week to arrive---not two business days (as they did.) Excellent quality, price, service, and shipping; I will definitely be buying all my readers from here from now on!" - Erica S.
"I got my new reading glasses today and boy am I a happy guy! If only I hadn’t spent a half-million dollars on other pairs for other places that are hiding in the desk drawers because I’m just not satisfied with them." - Michael S.
"What a great range of very good quality half frames! I am really pleased with all my pairs. Keep up the good work!" - Bill L. N.Z. "Thank you for the great service. Love the sense of humor on the site too." - D.F. "Cool site!" -Diane S., S.C.
“I can’t say enough GREAT things about the glasses and service from ReadingGlassesEtc.com! Their reading glasses are incomparable to any – bar none! They have glasses for EVERYONE! If you want cute or funky reading glasses, they have ‘em. If you want basic or lightweight or anti-reflective glasses for heavy computer use, they have ‘em. Also, their friendly, helpful, caring service is a rarity nowadays. ReadingGlassesEtc.com treat you like a person, and NOT a number! I love my designer frames. I am a teacher and just love the cute, funky styles! Thanks so much, ReadingGlassesEtc.com!” - Carol H.
"I recently had cataract surgery in one eye. My distance vision and reading correction in both eyes are pretty much the same, but, I have my computer screen about 3' away from my eyes and the transition from reading to distance is not the same for both eyes. I ordered glasses with 1.25 for one and 2.50 for the other and now I can read the screen with either eye!" - Guest 4 Stars! "EXCELLENT Glasses and Company! The reading glasses sold by this company are EXCELLENT! They are some of the BEST quality glasses I have ever purchased, bar none! If you read, use the computer EXCESSIVELY daily, these are the glasses for you! Ladies, be sure to check the "size" of the frames because, like me, if you have a smaller framed face you will need the smaller sized frames. I am a teacher and needed some fairly good quality reading glasses (check out the "anti-reflective" ones!). I also wanted some cute frames to wear around the K-5 students I teach. I found them here! You will LOVE the cute styles and MANY choices!Additionally, this company is VERY GOOD to deal with. They treat you with respect and fairness. Not to mention you actually get to speak with a "person" and not a machine if you need to call or email them. "Durable, comfortable, attractive... These glasses are truly prescription-grade at a fraction of the cost. The frames are durable, despite being half frames. The secret is strong, tough nylon monofilament (think fishing line) that runs invisibly from the frames down around the bottom of the lenses in a recessed groove. If you manage to pop a lens (I've done it a couple of times, with excessive twisting) you can put it back in yourself, with a bit of practice. I have finally fatigued my first set of frames. They are very durable, but I insist on taking them off and putting them into a pocket, so they get flattened, and eventually the rebending of them will fatigue the welds at the nosepiece. If I'd use a hardcase, then they would last virtually forever. The lenses are amazingly scratch proof. Drugstore readingglasses scratch the day I start using them, and are pretty well worn out in a couple weeks. Having coated lenses which don't scratch unless truly abused is wonderful. As I start on my next pair, if a scratch a lens before I wear out the frames, I will be able to replace it with one of the current lenses, as even after several months of rough use they are still unscathed. "In the past two weeks I have bought two pairs and am in love with both!! From order to delivery supper fast. Great quality, I would recommend this site to everyone and give them 5 STARS...Thanks!" - G.B. "I wear reading glasses all the time. My eye doctor and I could not agree on strength of the lenses. My vision kept changing, within a window of a few minutes, and the doctor could not figure out why. Frustrated, I went to the store and bought pre-made readers to try out. The readers I was buying had cheap plastic, thick spherical lenses that scratched easily and there was not a good choice of frame styles. One private optician agreed to make the power I wanted for me and after spending 300$ and more I managed to get my hands on decent glasses. The first time I came to your website and found that you are making readers with Poly Lenses that are aspheric and with AR coating option, I was thought "Yeah sure , like I've never heard that before". But there was option to return them for full refund, minus shipping, so I thought I give it a try. I was amazed at the whole experience. 1. The glasses were on my nose within 3 days . 2. The glasses are not cheaply made like the ones bought in the store. They feel sturdy, they have soft nose pads unlike store bought glasses with plastic nose pad that keep sliding down on slightest sweating and are built in without possibility of replacement. 3. I did not have to do ANY adjustments at all. I just took them out of the box and put them on and I was good to go. In my personal opinion , your website is God sent. Since I wear reading glasses all the time, these glasses are everything for me . +3.50 are not available in stores. Just some websites where they make them very cheap with expensive frames. Your website is pretty good and looking better every time I visit . In my opinion, the products are all very affordable. I would not mind even if you charged for shipping! The first time I contacted you I got a response in less than 1 hour , and I thought you were having slow day . After contacting you several more times and getting just as fast responses, I realized that you are very prompt to get back to customers."